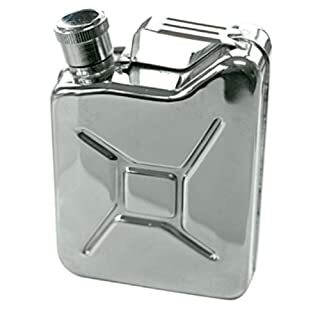 Fill this stainless steel 265ml Gas Can Hip Flask with your favourite hi-Octane tipple. 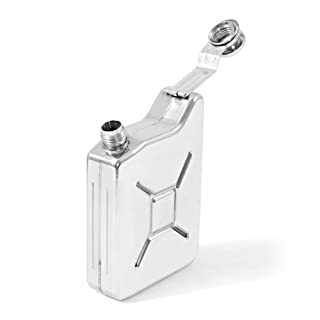 Small and compact it will easily slip into your pocket and it has a screw down cap for no leaks. Packed in a smart gift box. 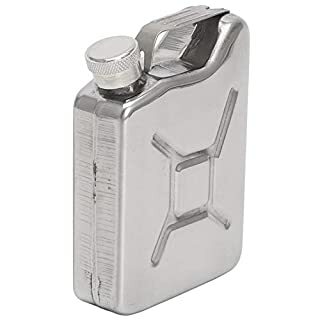 This is not you standard looking hip flask by any stretch. 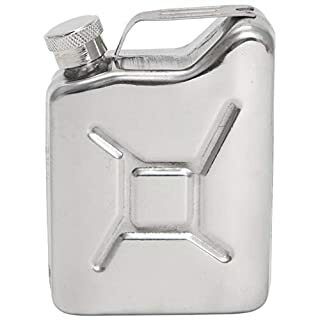 This is a hip flask shaped like an oil can. 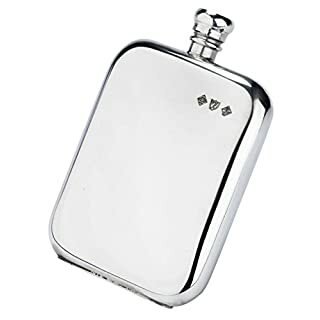 The oil can hip flask has a high polished mirror finish and will fit comfortably inside a suit jack. 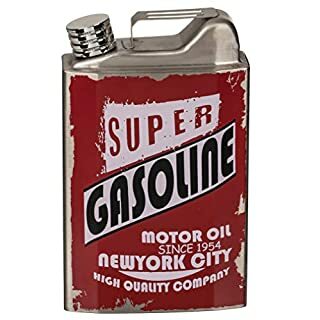 Great it for a motoring enthusiast. 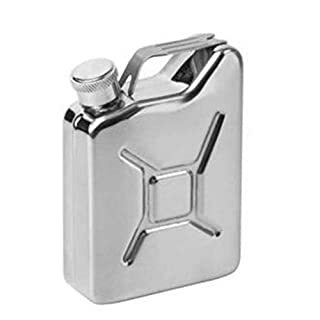 Stainless steel drinks hip flask which is polished to a high finish and shaped like a car Jerry Can (Jerrican) or Petrol Can.The flask holds 5oz (145 ml) of any liquid.The lid is attached to the body of the flask via a hinge which means that it cannot be lost or removed from the flask - this is a unique design feature which other similar flasks do not feature.It comes boxed, complete with instructions on caring for the flask.Dimensions (approx): 70mm x 90mm x 25mmThis would make a superb gift or birthday present for any motoring or 4x4 fan. 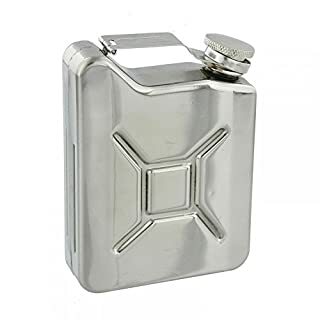 Features:Stainless steel material is strong and durable. 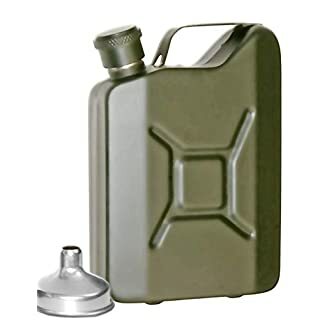 Featuring a delicate finish, it glistens in sunlight and does not fade.This flask holds 5 ounces of your favorite beverage.Designed with handle for convenient carry.Not only wine pot, but also oil jerry can. 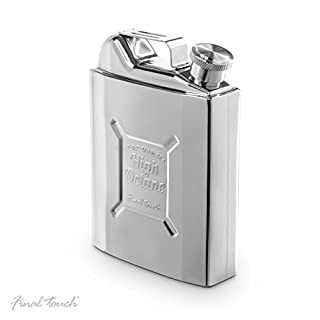 Cool design that will make you the coolest person in the pub, party, and music festival. 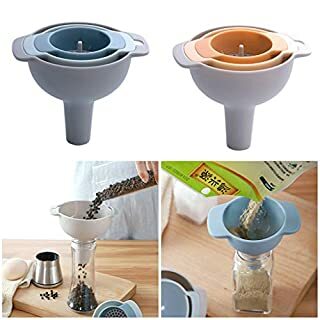 Descriptions:Completely remove harmful bacteria not easy to filth to prevent the breeding of bacteria. 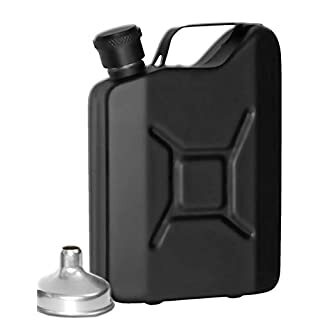 Cost efficient and a smart way to save money on beverages. 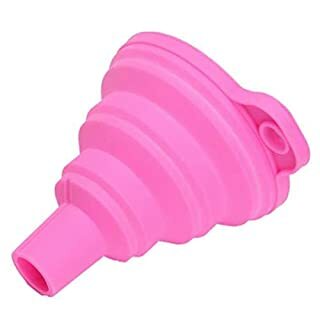 An unexpected surprise for your family and friends! 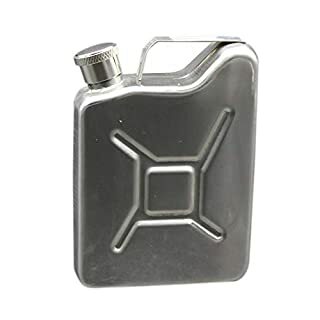 Specifications:Capacity: 5 OzMaterial: Stainless SteelSize: 95*68*75mmColor: silverPackage included:1 x Jerry Can Wine PotNotes:1.Due to the difference between different monitors,the picture may not reflect the actual color of the item. We guarantee the style is the same as shown in the pictures.2.Due to the manual measurement and different measurement methods, please allow 1-3cm deviation.Thanks!